« Are you from the moon? 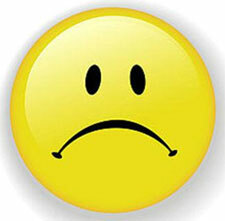 A Zindler frown looks exactly like the opposite of a smiley. A frowny. And that’s exactly what it means. It’s a rather extreme version of a Zindler line which itself is an unhappy marker, indicating thwarted ambition, frustration or anger at having not yet lived or realised one’s full potential. 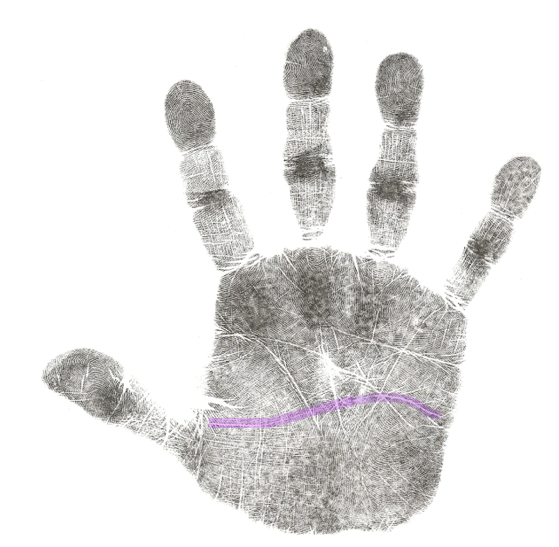 This marker tends to show up on the hands of people who are very gifted but who, for one reason or another, feel they have been blocked in some way. Usually, when we don’t live our potential, it’s not because of what others have done or said. We tend to get in our own way. It’s tempting to project all this pent up anger outward onto some circumstance or other person. But that would be a massive power give away. Why not reclaim all this pent up emotion? Use it as a fuel to drive your engine way beyond the norm so that you can share your natural talents and all you have to offer with the rest of the world? What does a Zindler Frown look like? 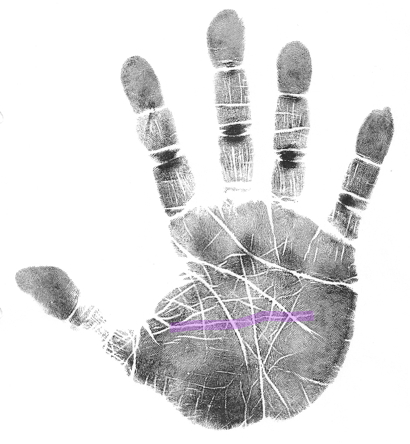 The Zindler line (and Zindler frown) ends in the Pluto zone of the hand. Which is the zone of radical transformation. 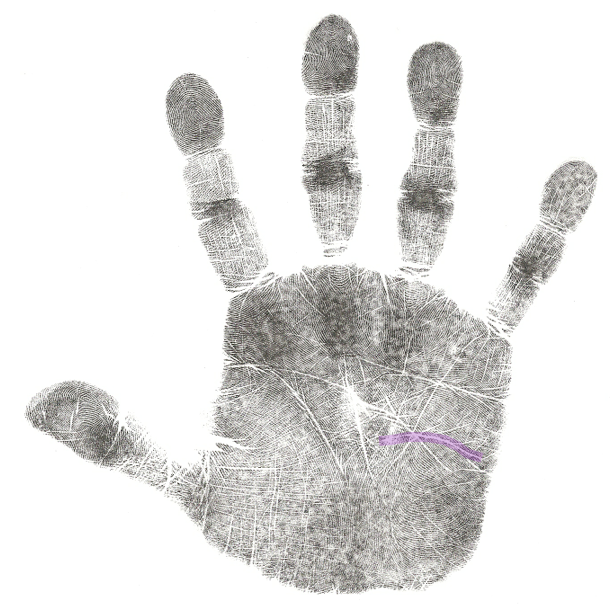 Other frownies are possible in other regions of your palm. For example, there’s one called a Neptune Frown and a few different types of Frowning Girdle. What these mean exactly depend on their precise location. 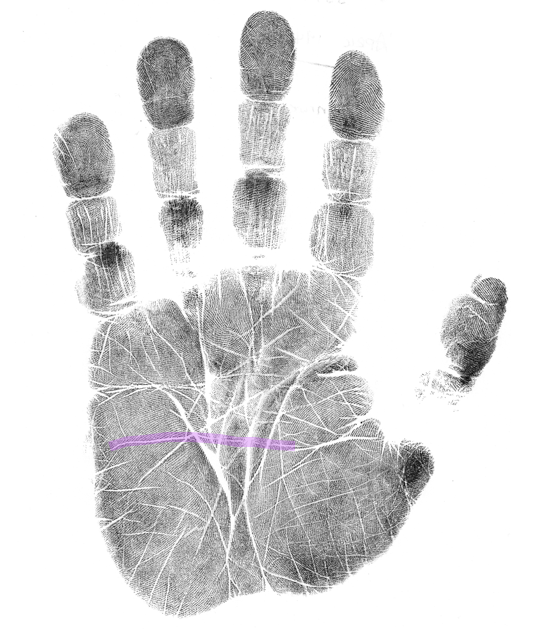 To learn more about what your hands and what they are trying to tell you, take a 12 week hand analysis foundational course online with Jena Griffiths. In the image above I haven’t highlighted the full line because I wanted to accentuate the shape of the curve. The “frown”. Below are some classic examples of ordinary Zindler lines /Pluto attack lines plus the first image again but this time highlighted in full length so that you can see it is the same line as the others, just curved. Here is another classic example of a Zindler line/ Pluto attack line. This is the image I used in my post above, but here I have drawn the full line to show how it starts in Mars. The only difference between this line and the other 2 above is they are straight and this one curves (has more emotional energy). When it curves it is called a Zindler Frown. A good tool to use if you have one of these markers is Byron Katie’s 4 questions. 2. can I really know for sure? 3. how does it make me feel? 4. how would I feel/who would I be without that thought? Then turn the thought around. I’m ruined because of him. Becomes I am not ruined…. 3 comments to Do you have a Zindler frown? I have two parallel zindler ‘FROWNS’ on my left hand and 4 zindler ‘LINES’ on my right hand.. what does this mean? please let me know what this means.. Multiple Zindler frowns means a person feels frustrated that they aren’t living their full potential. Who or what do you believe is stopping you? Explore the story you are telling yourself using, for example, Byron Katie’s Inquiry process – 4 questions. This will set you free. Here’s an interview about how to do this.